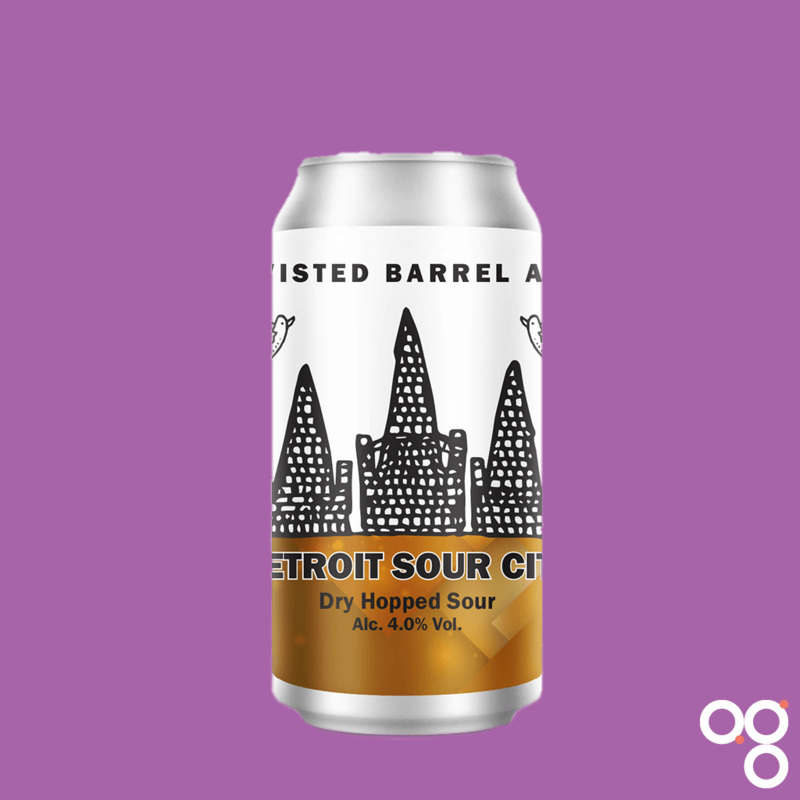 Here’s your cheat sheet for Detroit Sour City by Twisted Barrel Ale. It’s hotter than Jacob Rees Mogg’s personally reserved spot in hell today, so I’m hoping this will give us a nice bit of refreshment. Featured in BeerBodsPlus Box 5 on 26 July 2018. Find Twisted Barrel Ale on Twitter at @TwistBarrelAle and on Instagram at @twistedbarrelale. Serve this beer nice and cold, between 4°C and 7°C; stick it in the fridge for a good long time. This is a sour beer. We’re looking for something crisp and refreshing with a nice tart bite to it and some fruity stuff going on as well. This has been dry hopped with Denali, which should give it the following character. In the video Matt mentioned watermelon, which sounds great to me. It’s so hot today, I wouldn’t recommend having this with food. Just gulp it down while it’s still cold in order to get a modicum of refreshment. If you insist on eating, maybe try a really light salad. One with fruit in. Perhaps thin slivers of charred orange with pea shoots and watercress. Pop some nasturtiums in there too. Go on, be fancy. Read more on this beer from BeerBods and Twisted Barrel Ale.